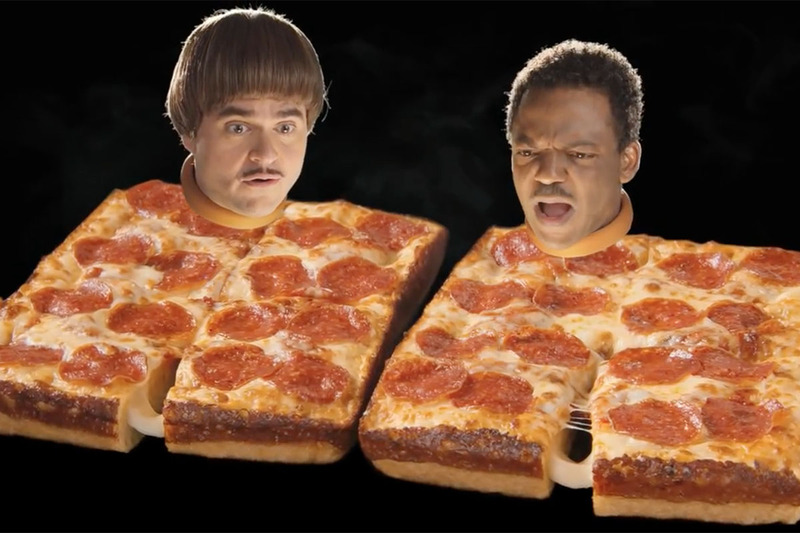 Little Caesars has brought back its Bacon Wrapped Crust Deep!Deep! Dish, and to promote it, it's encouraging you to blame the "corporate scapegoat" who, apparently, took it away. 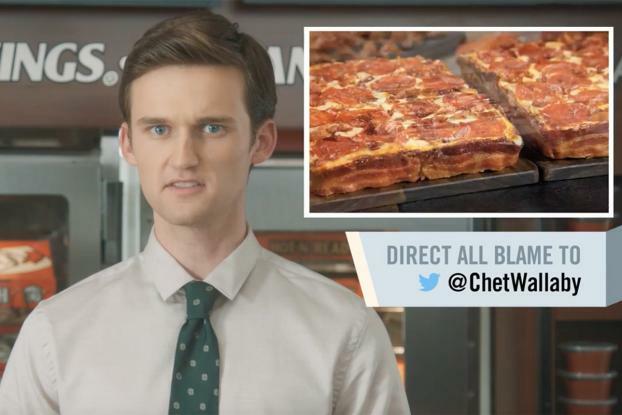 The brand's latest campaign from agency Barton F. Graf introduces Chet Wallaby, a marketing exec who looks far too young to have made any major decision but confesses, directed by his seniors, that he "acted alone" in making the pizza, (promoted last year in fun campaigns like Bacon Timeline), a limited deal. 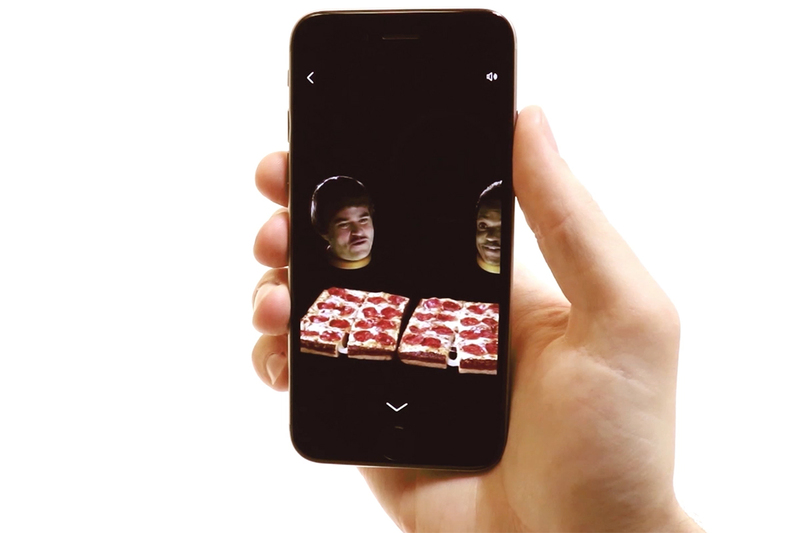 The idea is that fans of the pizza can take their anger out on him via social channels; following his confession, the words "Direct all blame to: @ChetWallaby" flash across the screen. "Chet" will respond to tweets with a video explaining how sorry he is for taking the pizza away and that he'll now offer his services as a personal blame-taker, using the hashtag #BlameChet. 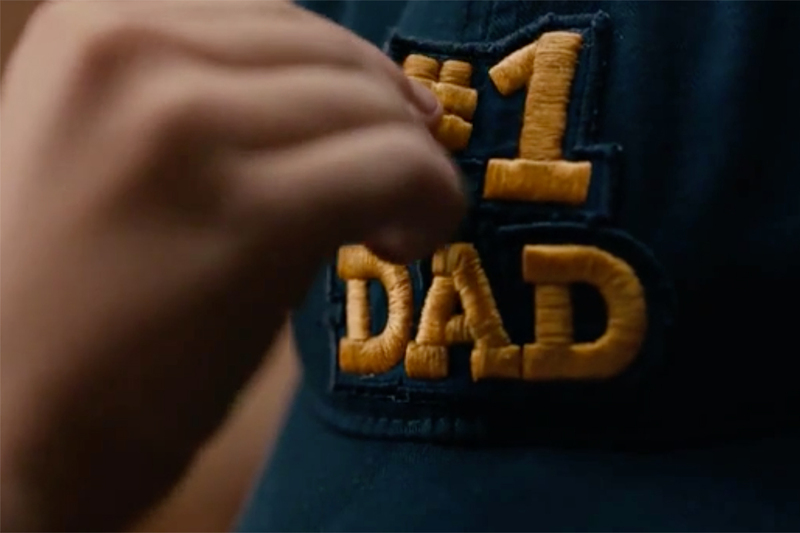 The TV spot was directed by Matthew Swanson of Epoch Films.